As part of our on-going effort to support our most valued customers, Shunyata Research would like to announce a Factory Upgrade opportunity for all those who purchased the original Hydra Typhon. Pricing includes all parts, materials and labor. Pricing does NOT include shipping, insurance, VAT, taxes, customs or any other local fees associated with shipping or import. Payment may be made through VISA/MASTER CARD only. contact Customer Service to register your unit. What products are eligible for the upgrade? We will NOT accept unscheduled upgrades! All upgrades are coordinated through our Customer Service Department. Email a request to cservice@shunyata.com or call during business hours 360-598-9935. • What does the Typhon connect to – a Triton or an amplifier? You will receive an RMA number and a scheduled upgrade date. You should arrange shipping such that the unit arrives at our location on or before the scheduled date. Be sure to put the RMA number on the outside of the box. The upgrade program requires a scheduled date for the upgrade to ensure that the service can be performed in a timely manner. Our expectation is that each unit will be fully upgraded and scheduled for return shipment within two weeks. The upgrade includes 4 days of Shunyata Research’s KPIP™ processing. The unit should be shipped in its original box with ALL of the internal packing materials. Failure to ship the unit properly may result in damage to the unit and loss of warranty coverage. If you need new packing materials, contact Customer Service and we will send a new box. New packing materials: $40.00 USD. inside the box. This is in the event that the shipper damages the outside of the box. FOB Poulsbo, WA. The customer should insure the unit for its full retail value. 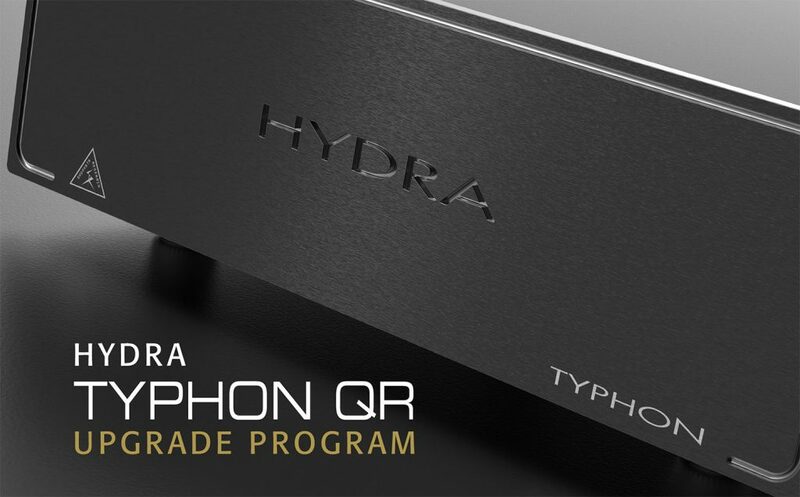 All Typhon QR upgrades are covered by a Limited Lifetime Warranty. HYDRA TRITON v3 Upgrades are available now! We are pleased to announce the TRITON v upgrade program. The factory upgrade represents a dramatic performance improvement that far exceeds the capabilities of the TRITON v1 and TRITON v2 in every area related to sound and visual performance. This includes all parts, materials and labor. All parts, materials and labor are included in the upgrade price. NOTE: The factory upgrade does not include the CGS grounding system on the production version TRITON v2. However, all performance related upgraded parts and materials are included. All US and Canadian customers that have US spec TRITONs with a valid serial number and prior warranty registration are eligible for the upgrade. If you did not send in a warranty registration card, contact Customer Service to register your unit. If you did not send in a warranty registration card, contact Customer Service to register your unit. At this time we are not accepting EU or Asian version TRITONs for upgrade. The upgrade program requires a scheduled date for the upgrade to ensure that the service can be performed in a timely manner. Our expectation is that each unit will be fully upgraded and scheduled for return shipment within one week. The upgrade includes 4 days of KPIP™ processing. All TRITON v3 upgrades are covered by a Limited Lifetime Warranty. We will NOT accept unscheduled upgrades. All upgrades are scheduled in advance through our Customer Service Department. Email a request to cservice@shunyata.com or call during business hours 360.598.9935. You will receive an RMA number and a scheduled date for the upgrade. You should arrange shipping such that the unit arrives at our location on or before the scheduled date. The unit should be shipped in its original box and ALL of the internal packing materials. Failure to ship the unit properly may result in damage to the unit and loss of warranty coverage. If you need new packing materials contact Customer Service and we will send you a new box. New packing materials cost US $40.00. The customer is responsible for all costs associated with the shipment FOB Shunyata Research Poulsbo, WA. The customer should insure the unit for its full retail value. We are pleased to announce the HYDRA upgrade program. The factory upgrade represents a dramatic performance improvement that far exceeds the capabilities of the original versions in every area related to sound and visual performance. 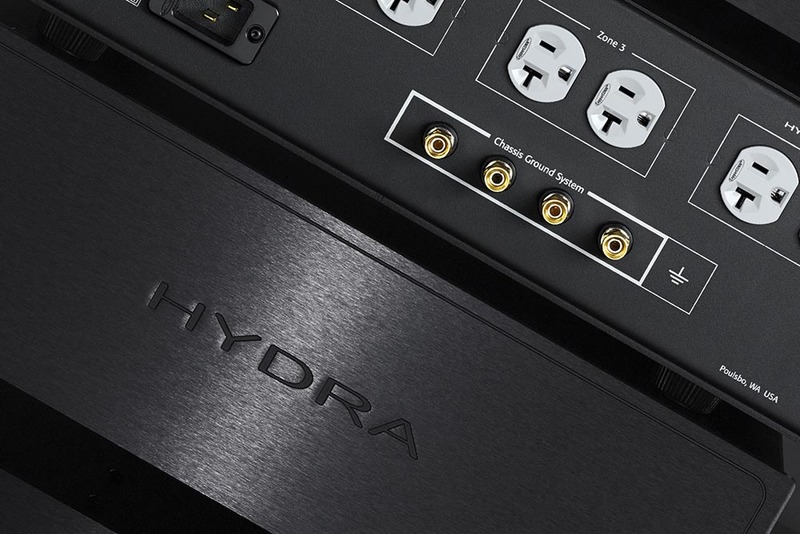 All US versions of HYDRA Models listed with a valid serial number and prior warranty registration are eligible for the upgrade. If you did not send in a warranty registration card, contact Customer Service to register your unit. At this time we are not accepting EU or AS version HYDRA’s for upgrade. The upgrade program requires a scheduled date for the upgrade to ensure that the service can be performed in a timely manner. Our expectation is that each unit will be fully upgraded and scheduled for return shipment within 3-4 days. FOB Shunyata Research, Poulsbo, WA. Payment may be made through VISA/MASTER CARD. The unit should be shipped in its original box and ALL of the internal packing materials. Failure to ship the unit properly may result in damage to the unit and loss of warranty coverage. If you need new packing materials contact Customer Service and we will send you a new box. New packing materials cost US$40.00. The customer is responsible for all costs associated with the shipment FOB Shunyata Research Poulsbo, WA. The customer should insure the unit for it’s full retail value. All HYDRA upgrades are covered by a Limited Lifetime Warranty. An RMA (return merchandise authorization) number is required when sending products for repair. Contact Shunyata Research Customer Support to obtain an RMA number. The Product must be shipped to Shunyata Research, freight prepaid, with the RMA number clearly visible on the exterior of the packaging. The Product must be shipped in its original shipping box and protective foam. A letter should be included that describes the problem or symptoms. If the original packing materials are not available, Shunyata Research will provide a new replacement set of packaging materials at a modest cost. Product return shipments WILL NOT be accepted without an authorized RMA number issued by Shunyata Research.